With the advent of new technologies, the methods of looking for staff have also changed. Now HR specialists use social networks to post a job or draft a candidate, but the old kind of resume is still required to be shown. And often it is the cause of the denial of employment. What are the secrets of a successful resume? Do they exist? I can say for sure that it is magic if you have a gift to write a successful resume at once. However, I can also say that this art can be mastered. Below are the key elements which you should pay close attention to if you want to succeed. It is a well-known fact that CV can be considered as a kind of writing where you describe yourself as a talented worker. And like any kind of writing, it requires great writing skills if you want it to be a masterpiece. Therefore, it is a must to take into consideration all elements that could influence the quality of your writing. According to American experts, the easiest form of writing is an essay, as it does not have any limits in grammar, lexical or punctuation rules (I am talking about personal essays where no one can dictate you how to write). Nevertheless, this form has to be written without mistakes as well. Otherwise, it would be considered as an art of a junior student. In this regard, before writing a CV, I propose you to practice your written skills on short essays that would describe any idea that has come to your mind. In this way, you will be able to comprehend the art of writing that would definitely contribute to your successful CV. 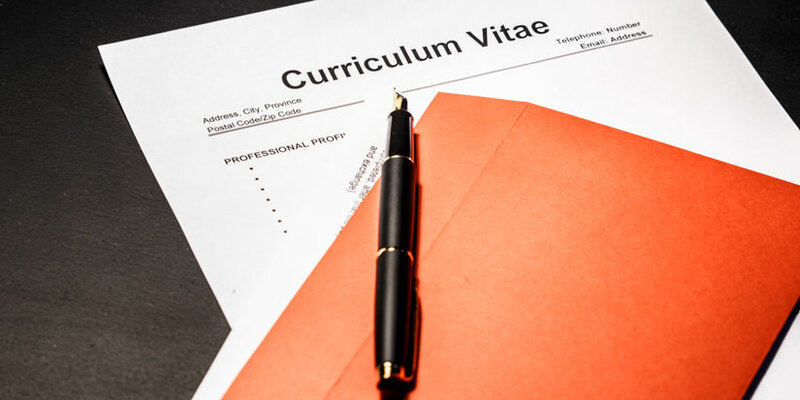 For the selection of candidates, HR specialists are increasingly using keyword searches – especially for vacancies that are responded by hundreds of people, and there is not enough time to read the CVs from cover to cover. Therefore, it is worthwhile to understand what skills and knowledge are required for a particular position, and then add them to the CV. The more accurately you get to the list of key phrases, the more likely you receive an invitation for an interview. And yes, for different companies and positions you have to significantly change your resume. The data on how much you have increased sales will make a greater impression than the list of your job responsibilities. The figures in the resume should tell you how helpful an employee to the business you are. If you have nothing to do with sales and production, think about what you have managed to improve at your workplace. And remember – more numbers! According to French psychologists, the number is the first kind of information to which we pay close attention. It is explained by the fact that numbers are perceived by our brain more quickly and appropriately. Therefore, such kind of information is easily remembered by our left hemisphere. Moreover, this part of the brain is also responsible for analytical skills. That is why even a small number such as “2” or “3” is more impressive than a sentence about your successful management. If the list of the jobs you had is quite modest, you need to remember the internships and volunteer projects in which you happened to participate. In this way, you will show your initiative and willingness to help. The question of whether it is worth writing about a hobby remains controversial: it is difficult to guess how the future employer will treat your colony of Madagascar cockroaches at home. Perhaps, if your hobby is common or coincides with the hobby of the future boss, it should be pointed out, but you should not attribute it to yourself: a lie will not play in your favor. Try to follow a simple scheme: short paragraphs, numbered or bulleted lists, and a format of the table. The wordings should also be simple and clear – do not go into the details of your career, you will talk about it at the interview. Also, do not try to impress the HR manager by the synonyms you are using. Obviously, it is good that you are a well-educated person but the key point here is not to overleap yourself. By the way, there are also some words which should be avoided in your CV. These ones are mentioned here. Go and find out which words should be marked as a taboo. A lot of resumes flew into the basket because of a couple of grammar mistakes. HR-managers treat them as a lack of mindfulness that is required in many positions. So, do not disdain automatic text verification, read it several times by yourself and show it to a friend who knows the language well. As a result, the chances of losing a position due to one letter will be greatly reduced. Rated 4.5 | 38 votes.